Heavily influenced by R&B and Soul of the 1960's and 70's, lead singer/frontman, Alex Lucero showcases his timber and rasp as well as high falsetto in his live and studio performances. Ryan Price's bass playing is unmistakable to the Live Again sound and is a crucial element to whatever setting the band plays. Zack Freitas is a perfect storm of heartfelt songwriting and a powerful voice to back up his lyrical intensity. There’s a depth to his music that goes further than your average artist, deep below the emotional waterline to a place where beauty is matched equally with pain. For a Millennial in his mid twenties, his songs sound as though they come from the poisoned well of an old soul. 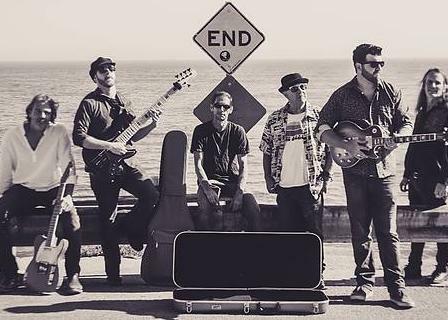 Drifting Compass is a band based out of Santa Cruz that plays high-energy original rock, filled with memorable lyrics and catchy hooks, as well as a great selection of covers. Alternative Rock, Classic Rock, and Alt-Americana. More info: www.driftingcompass.com.